Thank you for your very swift response last Sunday to the problem of broken glass in our back door caused by an attempted break in at our home. It was a very professional service provided by you and your team and your swift response was greatly appreciated. What at first appeared to be an enormous inconvenience to us was dealt with effectively by your company and all was put right in the shortest of time. Thank you again for your such a swift response. Having had the unfortunate experience of a break in recently, Blanchardstown Glass made the whole process so smooth! arrived within 40 mins of calling him, and within a few hours had my glass doors replaced and lock fixed so i could relax that night. Couldn't recommend him highly enough for service, product and follow up. 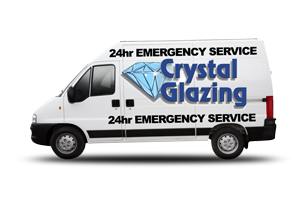 At Blanchardstown Glass we guarantee that we can secure any residential or commercial property 24 hours a day. If we do not have the glass on the vehicle to replace it with we will make sure the property is left secure until we can return with the correct size glass. Blanchardstown Glass can supply any type of mirror. We can drill, bevel, polish and add sand-blasted designs. We are able to cut holes in mirror glass in almost any combination of shapes and sizes to allow for the insertion of light switches, plug sockets or other wall mountable items. If you’re not sure whether it can be done just ask! Blanchardstown Glass has years of experience and expertise at supplying services to the domestic market. We pride ourselves on always delivering a standard of service we would expect ourselves guaranteeing 100% customer satisfaction. Blanchardstown Glass has years of experience and expertise at supplying and fitting shop fronts and entrances. Blanchardstown Glass has years of experience and expertise at supplying services to commercial client’s ranges extensively from major lift manufactures’, through to local and national government buildings, hospitals, transport infrastructure, art galleries etc. Blanchardstown Glass has years of experience and expertise at supplying services to commercial client’s including SCHOOLS, through to local and national government buildings, hospitals, transport infrastructure, art galleries etc. The look and style of your home says a great deal about you. Double glazing Doors and Windows are a prominent feature to any property and really dictate the character of your home. Blanchardstown Glass offer a wide range of products to suit any home. All products are accredited with the relevant standards and design to ensure that all the latest security locks and hinges can be used in conjunction with our systems because, after all, when it comes to windows and doors beauty is pointless without strength. Coloured Glass offers a striking and contemporary alternative to traditional stained glass for interior screens, door panels, kitchen spashbacks, feature walls and windows. We also create contemporary glass artworks and bespoke commissions.